Regularly, in our way to develop an innovative Open Source Platform, we meet extraordinary people & products. It was the case in september, while travelling in South Asia for business meeting & Osspac Conference. Both, we used to work in Switzerland in our previous business life, and I’m certain we may have crossed on some projects / customers in the 90’s. Both, we share the ambition to shake up the market with new product available at reasonable price. 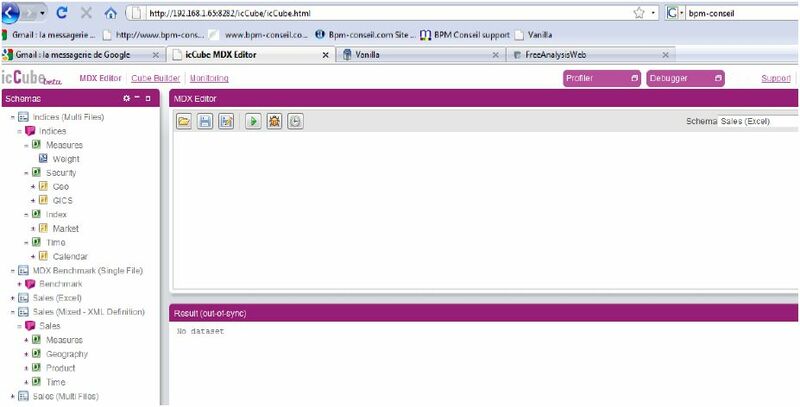 What a global satisfaction to be abble to provide the full support of IcCube with Vanilla 3.1 line. 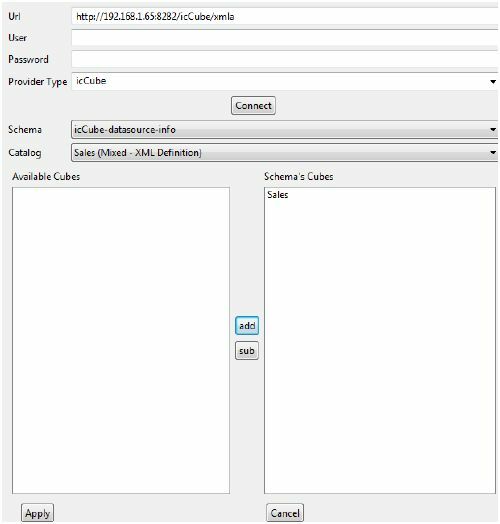 This integration was possible after a few days of development, because of the use of the FreeAnalysis Api, that stands as an middleware component between FreeAnalysis Web interface and Olap engine like IcCube or Mondrian. Just let me share with you some print screen of IcCube and Vanilla-IcCube integration.